I have been listening to Halloween music pretty much non-stop since, oh, about May or June! 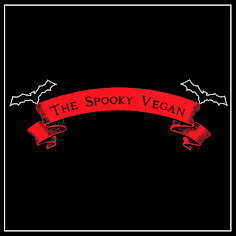 It's really a year-round thing for me, and when it comes to Halloween music I have pretty eclectic taste - I listen to everything from Halloween jingles of yesteryear to old-timey blues songs to Halloween classics to freak folk to indie to goth to industrial and beyond. This year I listened to more dark indie stuff, coupled with some old favorites mainly from goth or alternative subgenres. 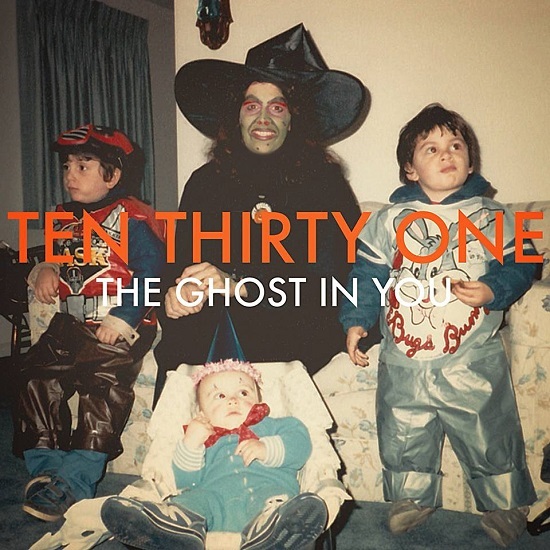 I always love checking out other people's recommendations for Halloween songs or songs that invoke a spooky spirit, so I thought I would share some of my own picks for my Halloween playlist this year. The songs below have been on heavy rotation this year, and there are some new ones mixed in with some old favorites! 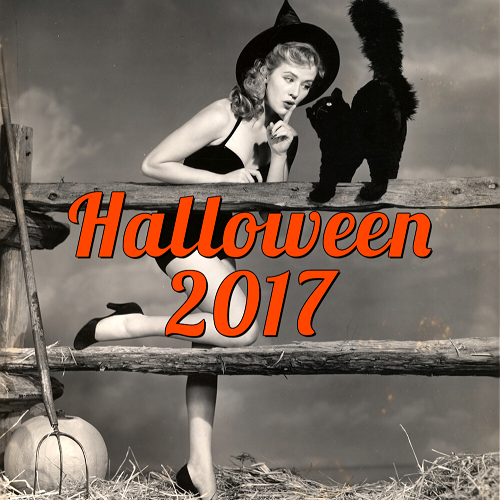 I also have curated several Halloween playlists over at 8tracks if you are looking for more! Ok, I seriously must have been living under a rock, because I just recently discovered the utterly fabulous District Vegan line, run by none other than my very good Instagram/Facebook friend, Toni! I can't believe it took me this long to clue into her fantastic designs, ranging from t-shirts to stickers to sweaters to pins and more! District Vegan is a one-woman operation, and on top of designing the tees, Toni also handles all packaging, shipping, etc. Speaking of packaging, she uses upcycled materials like re-purposed grocery bags or boxes whenever possible. 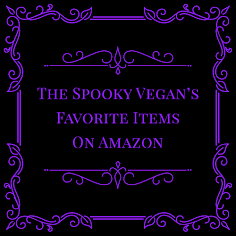 If all that isn't awesome enough, 10% of proceeds are donated to animal rights rescue and advocacy groups! When I ordered my goodies in October, a portion went to Bat World Sanctuary, which made me so happy!! Ahhhhh how I miss candy corn! The candy corn you find in stores isn't vegan, and I woefully miss it around this time of year (hey vegan companies, how about someone makes a vegan version pretty please??). I gotta get my candy corn fix somewhere, so that's where this pizza comes in. No, it doesn't taste like candy corn, but its triangular slices sure do look like the sweet stuff! 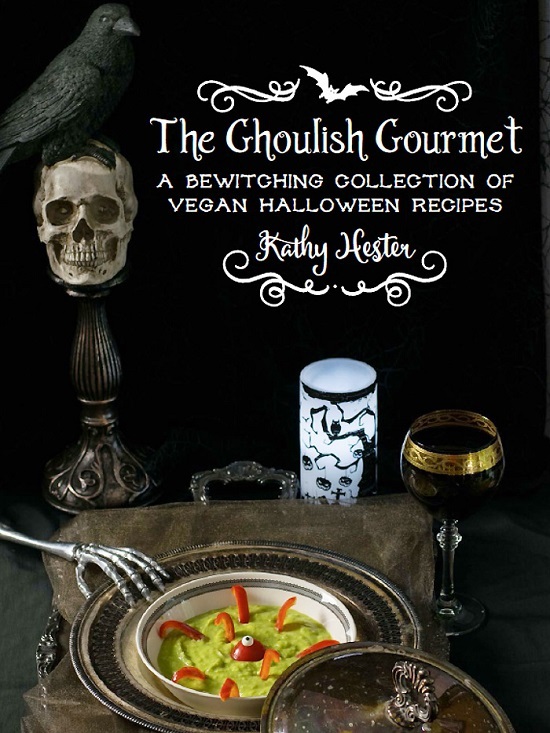 I was inspired to make a vegan version after seeing a recipe in the Ghoulish Goodies cookbook. Vegan milkshake, burger and fries at Amy's Drive Thru! I was recently up north in Napa Valley for my little sister's wedding, and was absolutely delighted that I had time to pop over the hill to check out Amy's Drive Thru in Rohnert Park in Sonoma County. You may recognize the Amy's Kitchen brand from the frozen/convenience meals they make, of which many are vegan. I love Amy's vegan meals (two of my faves are their Vegan Margherita Pizza and their Dairy Free Rice Mac and Cheeze), and was so excited about their new restaurant, even if it is about 500 miles away from me. I missed the opening by about a month the last time I was up north (they opened in July 2015, I was there in June), so I was SO HAPPY that I finally got to go this October. I know everyone has been bitching about Netflix not adding many new horror titles to their lineup this October, but the truth is that they have a lot of decent to excellent horror flicks streaming for you to get your scare on this Halloween! And the good news is that they have something for everyone, from spooky, subdued stories to goofy crowd pleasers to horror classics! I've scoured through the current Netflix catalog for the U.S. and picked 50 horror movies (plus a few extras) that should keep you busy from now to Halloween. I've mentioned old favorites that can be rewatched again and again, but I hope you will find something new to watch, too! I've broken down my recommendations in categories so it's easier to find what you are in the mood for, like what to watch when you want to be scared or what to watch when you want a fun crowd-pleaser. I think it's easier to recommend movies by what you feel like watching rather that give a big ol' list. Now, without further ado, here are 50 horror movies to watch on Netflix this Halloween! 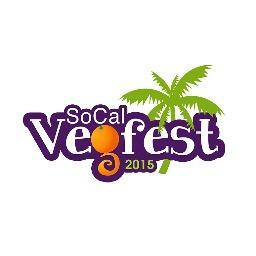 SoCal VegFest is Orange County's first ever vegan festival and will showcase delicious vegan food and beautiful vegan products on Sunday, November 1st, 2015 at Orange Coast College in Costa Mesa! The event will also feature special guest speakers, cooking demos, live music, and much more! Entry is FREE and I hear they may have some Halloween and/or Dia de los Muertos activities planned as well. Last year I started making spooky-shaped pizzas and everyone went nuts for them! One of the most popular was this Ghost with the Most pizza, which is simply vegan pizza dough (I use the Trader Joe's one) rolled out and shaped into a ghost, then topped with pizza sauce and vegan mozzarella cheese (I used Daiya, but I also like Follow Your Heart's shreds). Finish it off by adding some eyes and a mouth - I used sliced olives, but you could also use sliced jalapeños, maybe some sliced tomatoes, or anything similar. Do you remember R.L. Stine's Goosebumps book The Scarecrow Walks at Midnight? And, later, the episode from the TV show? I was obsessed with that story as a kid, and still think it was one of the best Goosebumps stories! Anyhow, that is how I came up with the name for this fun and easy dip! These delightful limited-edition pumpkin spice snacks by Nature's Bakery are like a healthier version of Fig Newtons! They come individually wrapped in convenient twin packs that are perfect for grabbing on the go. Each pack contains two bars that are slightly bigger than Fig Newton size. These would also make great treats to hand out on Halloween night! Wow, I can't believe October is already here! Autumn is just flying by, though it STILL doesn't feel like autumn since Southern California is perpetually stuck in summer temperatures. Nevertheless, I've been trying to enjoy the autumn season as much as I can, and one of those ways is participating in the Countdown to Halloween (along with a bunch of other Halloween fiends). 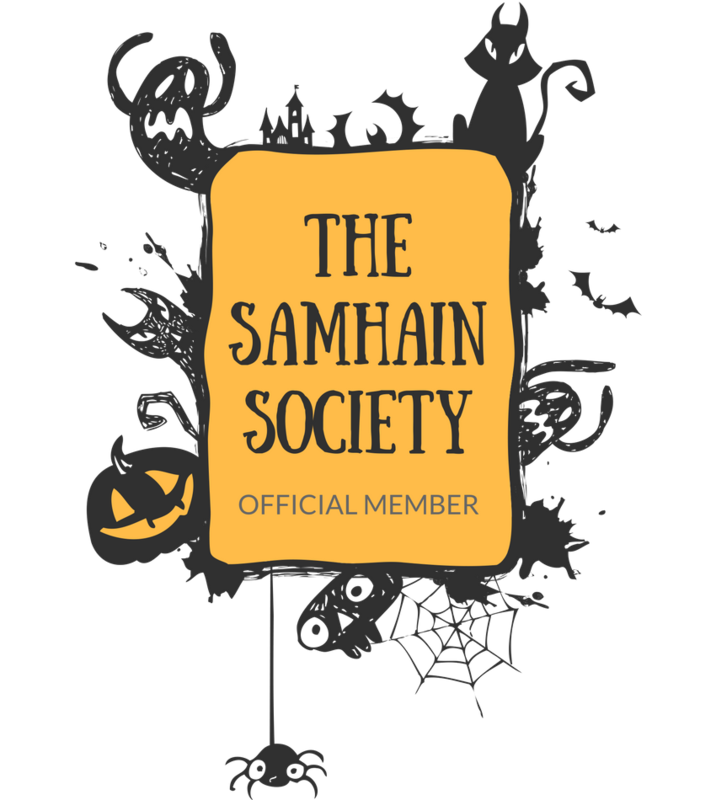 And today kicks off my 31 Days of Halloween, where I try to blog as much as possible during the month of October. I don't think I'll attain my goal of a post a day this year, but I'll still be sharing lots of ghoulish goodies with you!